It was Teutul's girlfriend's daughter who made him aware that he became a Twitter sensation over the past two weeks. "I'm not real savvy with much on a telephone," he tells Vice, "but it's kind of funny because somebody mentioned that twice, and it went over my head, and I never even came back to ask what it was, because I'm not so savvy with social media so I didn't even really kind of care what it was. So no. Did I know what a meme was? Absolutely not. Now I do." He adds that the argument that the meme is depicting was originally "horrifying. "And now it's flipped, and people keep coming up to me, and they keep sending me different ones," he says. "I didn't get it, and now, so many people are coming up to me, and so I'm more involved in looking at it now, and the more I look at it, the funnier it is." 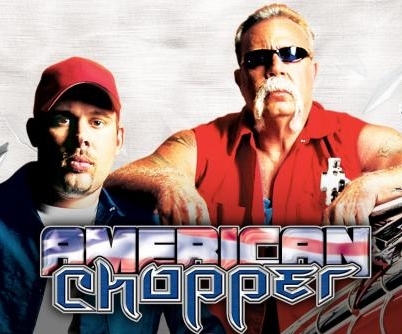 ALSO: American Chopper meme meets A-ha's "Take On Me."